The New Kids On The Block: The Chopping Block! 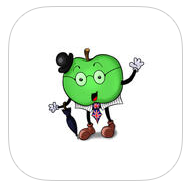 Come And Meet The New Kids On The (Chopping) Block! Say “Hi” or “Hola” to Cooking with Languages, a clever new way to help children – and grown ups – learn a language in a fun way. Cooking with Languages is the brainchild of Lisa Sadleir who wanted to design an exciting and interactive way to learn languages. Not only do parents or teachers sow the seeds for bringing up bilingual children but they teach them to cook at the same time. A recipe for success, or what! 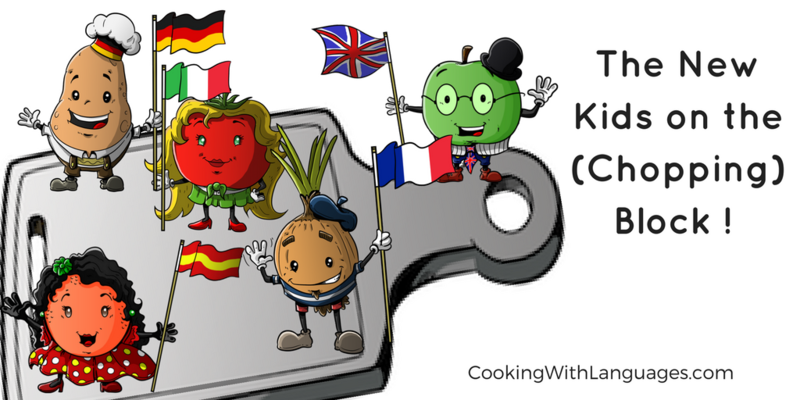 Cooking with Languages is all about hands-on fun as children make easy (and scrummy!) 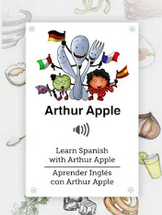 recipes which you can help them to eat; play games and other activities; and listen and repeat from audios recorded by Lisa’s son Joshua and daughter Francesca, both bilingual in English and Spanish, who are the voices of Arthur and Nerea. Children learn by listening, watching and copying so the activity cookbook encourages them to listen to the audios, watch their teachers or parents, and get their hands dirty while cooking up tasty treats. Their minds are like sponges so they’ll be soaking up new words while playing at Junior Masterchef in the kitchen. “I want to do for languages what Jamie Oliver has done for cooking,” says Lisa, trilingual herself and passionate about giving children the gift of languages. You can also be at the cutting-edge of this innovative way to learn by joining Cooking with Languages in its quest to raise £5,000 (about €5,800) by January 31st. 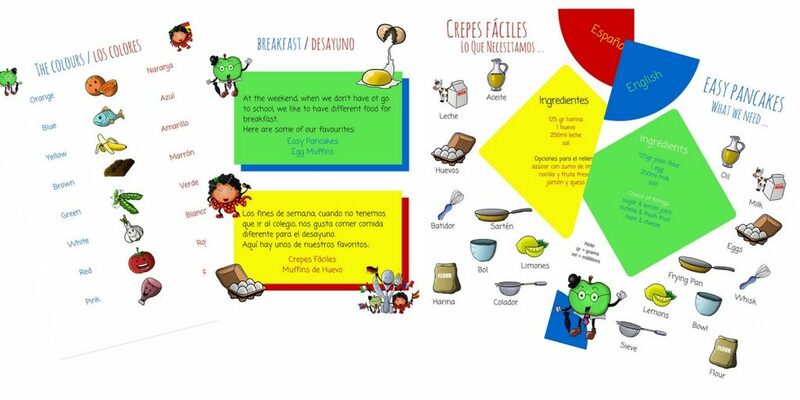 Fundraisers can get a copy of the English/Spanish activity cookbook and other materials at reduced rates. There’ll be sneak peeks at new materials and the chance to have your own recipe printed in the book and dedicated to your own children. But best of all, everyone who contributes will be helping to make language learning fun and give more children the gift of language. Contributions start from just £5 (about €5.80) and can be made quickly, securely and easily via PayPal. CLICK HERE to visit the Crowdfunder page for more information. Basically, the more books ordered, the cheaper they are, which means more people or schools can afford them. With your support, Lisa and her family can produce more affordable materials and grow many more language-loving superheroes. Research shows there’s a lack of materials for young Spanish learners so Lisa is working with a pre-school and primary teacher in the UK to create materials to be used in the classroom. The sooner children are exposed to foreign languages the better. 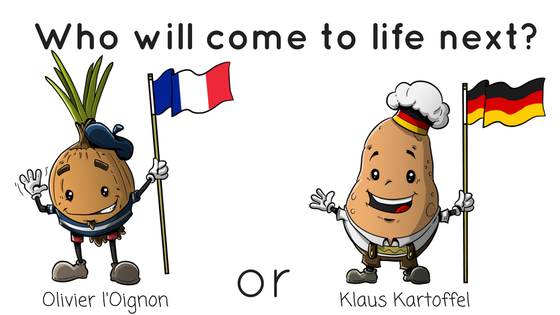 The dream is to produce all the materials in French, German and Italian in partnership with fellow collaborators and any other languages that people want. THANK YOU for supporting this campaign! Visit the Crowdfunder page for more information.